Every language learner knows that feeling: desperate helplessness when trying to produce a sentence in a target language. You may have advanced to the degree where you enjoy sophisticated books and movies in the language you are learning, but when it comes to speaking, you feel like a beginner – lost, panicked, and embarrassed. No worries – this is normal. You are fine; this is just the way we, humans, acquire foreign languages. We learned to speak first when we were babies and picked up with reading and writing later, but that only works with a mother-tongue. When we learn foreign languages, speaking comes last. If you’ve ever tried taking language proficiency tests, you might have noticed that they are divided into four parts representing four basic language skills – listening, reading, writing, and speaking. Reading and writing are passive language skills, while writing and speaking are active language skills. I took and passed different language proficiency tests a few times, and each time the score for speaking was the lowest, and the score for reading was the highest. That is a very typical situation for language learners who read much more than they speak. You need to start speaking and writing if you want to improve your speaking skills! Yes, writing may improve your general language proficiency and, specifically, speaking because writing is an active language skill, just like speaking. When you write, you stop consuming a language and start producing speech. In other words, you start acquiring the language; you make it your own. Here are the reasons why you should start writing in your target language right now. Writing helps to develop the same vocabulary in your target language as you have in your mother-tongue. My students often say that in their mother-tongue, they are witty, sophisticated talkers, while in Russian, they are limited to very basic vocabulary. I usually ask them to write something on the topics they discuss in their mother-tongue. This simple task helps them realize what words they need most, and what words they actually use in their out-of-the classroom life. When you use a new word in an essay, you memorize it better and faster. When you look up a word in a dictionary while working on your essay, you are more likely to memorize the new word. You encounter it when you need it most, and your brain marks it as important. We tend to memorize important things first, and the words that we learned while expressing our thoughts stick for a longer time. Writing helps you learn grammar. I think we can agree that learning grammar rules and not practicing them right away is a waste of time. Learning AND practicing is much more efficient. When you try to express your thoughts and figure out how to organize your ideas into grammatically correct sentences, you practice and learn grammar at the same time. And just as with new words, you memorize the grammar rules that you’ve learned on demand better. You acquire them. You get yourself prepared for writing tests. Writing boosts your language learning, as I’ve tried to prove above, but it also helps you to get prepared for writing tests. I trained myself to write short essays before taking the IELTS. I posted my texts on Lang-8 (unfortunately, they no longer accept new users), and native English speakers corrected me. When I took the IELTS, the writing part of the test was relatively easy for me – I didn’t get stuck with writer’s block. During the break, many fellow test takers complained that they spent two-thirds of the test time just trying to figure out what to write, so they didn’t have enough time to revise their work. If you develop the good habit of putting your thoughts down on paper (or, more realistically, on a screen), you’ll be well-prepared to write a test essay on a random topic. Your texts check your progress. When, after a few weeks of consistent writing practice, you re-read your first essays, you’ll see how much you have achieved during those weeks and how much more you can say – in written and, surprisingly, oral forms – in your target language. Nothing boosts confidence more than well-documented progress. Writing is the only active skill where you don’t need a partner. Well, of course, you’ll need someone who can proofread your writing (we’ll talk about that a bit later). The best thing about writing is that you don’t need to schedule your online meetings with someone else, and you can avoid that awkwardness of the language exchange sessions when two complete strangers are forced to hold a conversation while, in fact, they don’t have much to discuss with each other. You simply post your text on one of those language learning portals and somebody corrects it – when they have the time. Writing leaves you with corrections and notes that you may use for further learning. When somebody – a teacher or a language partner – corrects you when you talk, it hurts your ego a bit (or a lot, depending on how nice and tactful your corrector is and how delusional you are about your language skills). Worse, you don’t have anything to look at after the conversation is over. 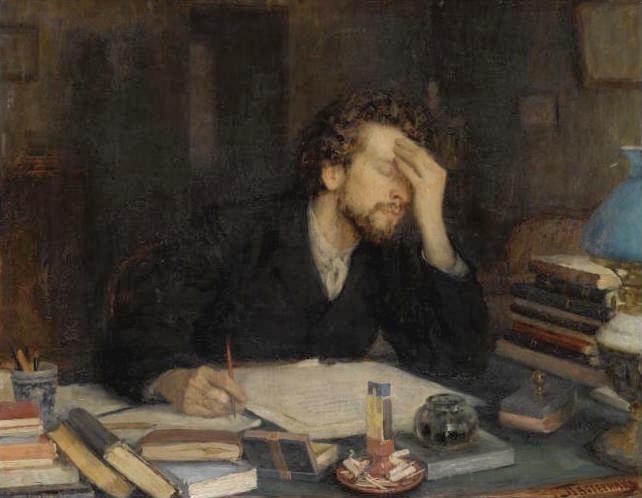 When somebody corrects your writing, it doesn’t hurt because it was not an in-person conversation, and you can work on your mistakes afterward. I know from both my learning and teaching experiences that writing promotes and speeds up language acquisition. My students who write short essays regularly progress faster than those who don’t. Sometimes I am amazed at how rapidly a student can evolve into a confident speaker (here, I shared a success story – for your inspiration). There are a few obstacles that many language learners face when starting to write. Just like all other human activities, writing should make sense. For language students that means that somebody should correct their writing. Preferably, for free. That could be your language exchange partner, because who said that LE sessions are exclusively for talking? That could be a native speaker on iTalki – this website allows you to publish your writing for native speakers to correct and comment. If you work with a language tutor, you might see about making writing a part of your lesson routine. I usually make it a homework assignment for those of my students who have enough time for it. Another big obstacle is: “I don’t know what to write about.” An aspiring language learner that I talked to said, “I usually write about my daily activities and books I have been reading! I just write one or two paragraphs.” It’s as simple as that. Nobody expects you to write a new War and Peace. Quite the contrary, short, but frequent stories would work much better than one exhaustingly long essay per month. Write about something that amuses you, something that you would like to talk about in your mother-tongue. Sometimes, it is easier to write about certain sensitive things in a non-native language – you may use the writing exercises to vent out everything you wouldn’t dare articulate in your mother-tongue. A small technical trick that usually helps me to overcome my procrastination is to write an outline of the future essay first. That helps me to mentally focus on writing and keep social networks and messengers closed for some time. An outline is also needed to organize ideas into a coherent text. Sometimes stream of thought works better, but I leave it for rare moments of inspiration. For a routine work, an outline is a must have. Here is the plan: open a new document in your favorite word processor, and switch to your target language. Draft an outline. Write down all of the thoughts and ideas that are relevant to the topic that you are going to talk about. Do not filter out the ideas yet – this is your brainstorming. Then re-work the outline and start writing. When the text is ready, publish it on iTalki or send it to your LE partner or tutor. When you receive corrections, make sure you understand exactly what was wrong. If you don’t understand anything, do not hesitate to ask your correctors for explanations. Repeat.